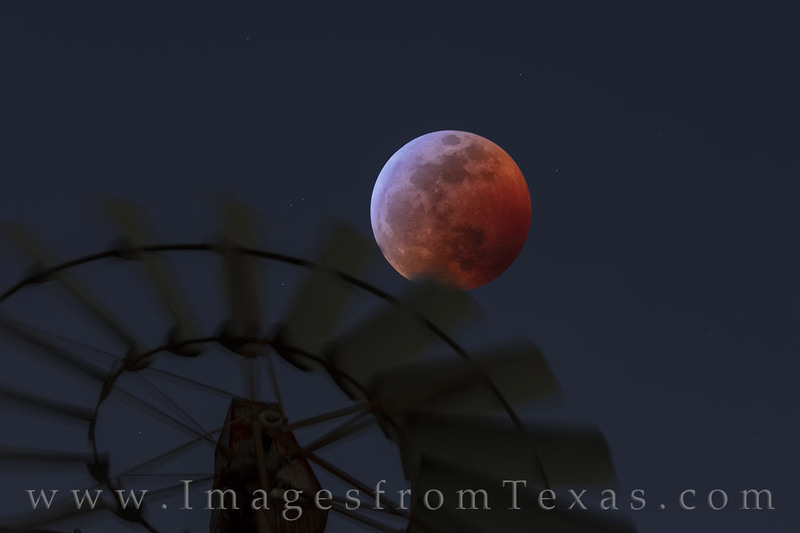 At 11:12pm on January 20, 2019, the Super Blood Wolf Moon reached its peak over the Hill Country, glowing an eerie reddish-orange hue. Several events transpired on this night to create this rare view. The Super Moon was in view – when the full moon is closest to earth at ~ 223,000 miles; the Wolf Moon – a full moon in the month of January; and a total lunar eclipse – the earth coming between the sun and moon – causing the Blood Moon. This unique alignment of celestial events made for a great lunar show on this cold winter night. The next total lunar eclipse will not occur until May 26, 2021. Photo © copyright by Rob Greebon.